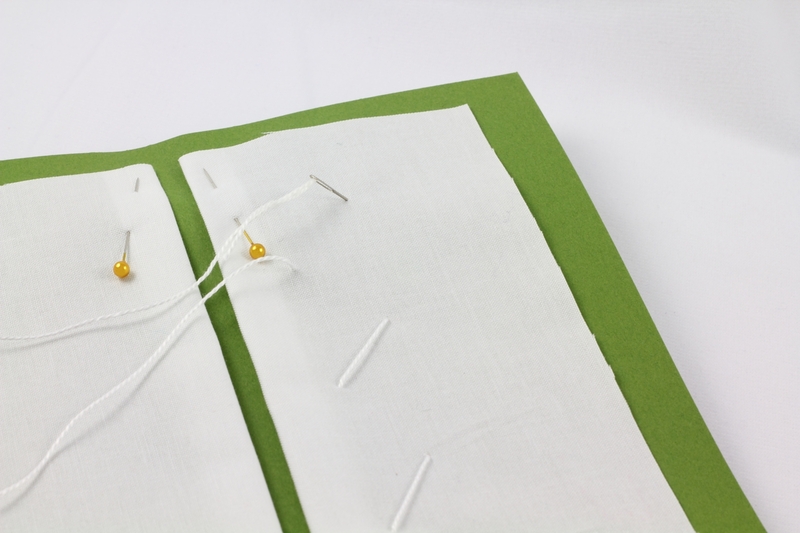 This interesting stitch is the buttonhole insertion stitch. 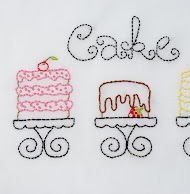 I am starting a brand new section of 100 Stitches - the Insertion Stitches category. This stitch is for joining two pieces of fabric. I practiced this stitch several times with disappointing results. I had such a hard time keeping the two pieces of fabric the same distance apart while stitching them together. I kept looking at the example in 100 Stitches and finally noticed that they recommended going back to the front of the book and reading the special instruction notes on Insertion Stitches before working them! The special instructions are to stitch your fabric to a piece of stiff paper and then work your stitches. Next, I drew some guide lines. I drew mine about 1/4" in from the folded over edge. This line will help me keep my stitches the same size! Beautiful! I think this stitch would be perfect for joining panels on a table runner or table cloth. I can't wait to try it on a real project. This stitch is number 98 on the 100 Stitches list. The floss I used is DMC pearl cotton color variations #4060. Beautiful stitch! Thank you for the instruction..using paper is a brilliant idea. It's really, really beautiful. Jaja, it is like you need to watch the end of the film. Now the stich is perfect. Kim, this stitch is fantastic! I think it would be cool to add to a cardigan or blouse... take the shoulder or sleeve seams out and add these, it would be awesome! What a wonderful stitch! 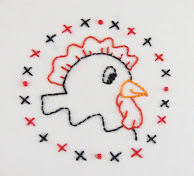 I love reading your blog because it's beautiful and I learn something new about embroidery! Thank you! 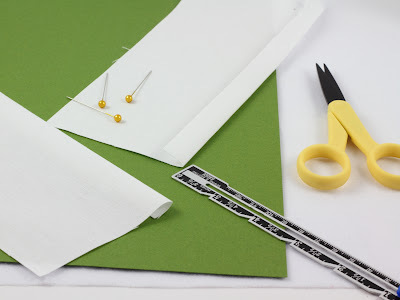 thanks for sharing the paper technique..definitely this will help to get uniformity when joining two pieces..
Gasp! It's just beautiful! :O SO lovely. Hopefully you'll think of some great way to incorporate it into a project. It'll be great! Kim -- it's beautiful. Just lovely! I've never seen this stitch used before...I'm going to look it up. You did a great job with it! latha - Thanks! I am so glad I read about using paper - it makes all the difference! Kristen - I love your idea! It really feels like a strong stitch too. Thank you!!! Jules - Thank you! This thread is so pretty in person. Leela - Thank you! The paper technique is sooo helpful! Denise - Thank you! I had never seen this stitch either. I really love it and there are two other insertion stitches on the list to try! Hi Kim, I love this stitch and the thread is perfect for this! Brilliant embroidery tecnique.Thank so much for always share beautiful things! Have a wonderful day and Merry Christmas! Excellent pictures and explanation on how you worked this stitch Kim. Very nicely done! This is a very interesting new section! Thank you Jeanette - this was a really fun one. Janice - Thank you! I hope you do visit often :) Happy new year! Shami Immanuel - Thank you!